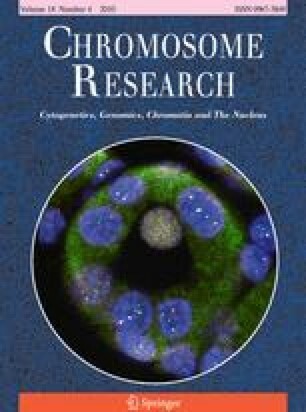 Owing to clonal inheritance, haploid status and lack of recombination, structural polymorphism in the human Y chromosome is more prevalent than that in the remaining parts of the genome. We studied structural organization of the AZFc region, assessed microdeletions therein and studied copy number variation (CNV) of several candidate genes in 750 Indian males. FISH mapping of 13 Y-specific BAC/cosmid clones uncovered a hitherto unreported AZFc configuration showing inter-DAZ gene sequence onto the Yp instead of Yq region. Such inter-DAZ gene arrangements were also detected in five German males (European Y). 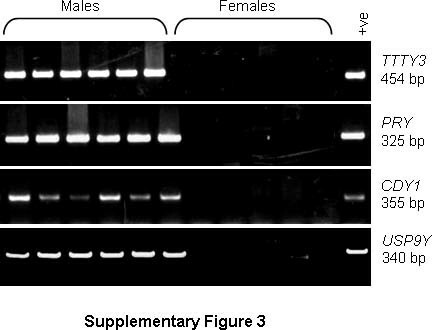 In 40–50% males, partial u3 and one of the green amplicons, g1, g2 or g3 was present on the Yp in addition to Yq, suggesting an alteration in the IR3 region. 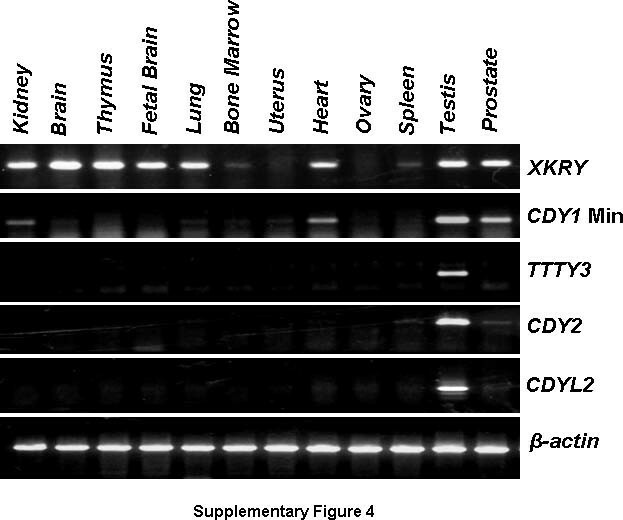 Among other AZFc candidates, complete TTY3 and partial CDY1 BAC sequences were detected on the proximal 5p and distal 15q regions, respectively, in both the sexes. 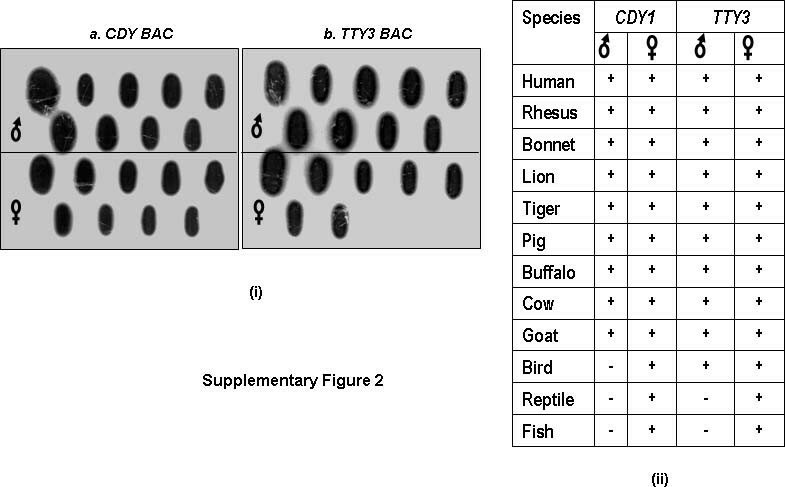 However, primers deduced from these clones showed male specific amplification of TTY3 and CDY1 exons suggesting (re)organization of their flanking sequences between Y and autosomes. Importantly, ∼5% males showed CNV of various Y-linked genes, and ∼3%, random microdeletions across the AZF region. Present study demonstrates hitherto unreported singular structural organization with respect to DAZ, TTY3 and CDY1 genes highlighting organizational complexities of the human Y chromosome in the global context. The online version of this article (doi: 10.1007/s10577-010-9123-1) contains supplementary material, which is available to authorized users. This work was supported by a DBT Grant No. 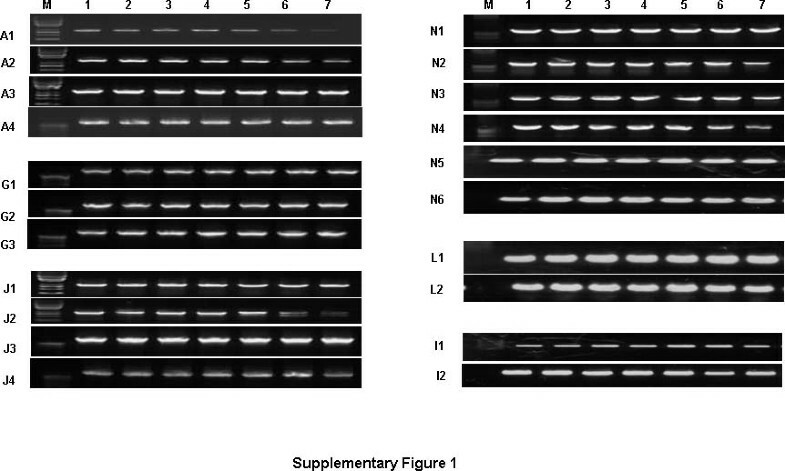 BT/PR8476/AAQ/01/315/2006 to SA and a core grant from the Department of Biotechnology, Govt. of India to the National Institute of Immunology, New Delhi. Senior Research Fellowship from the Council of Scientific and Industrial Research, New Delhi to SP and Equipment donation from the Alexander Von Humboldt Foundation, Bonn, Germany to SA are gratefully acknowledged. We thank Dr. Sangeeta Thatai and Shri Khem Singh Negi for technical assistance.